Let's take a break from eating heavy-duty food and for once, dine in a very relaxing atmosphere and have some desserts to munch on. And also it's because it's still pretty early and we're not in that dinner mood yet. 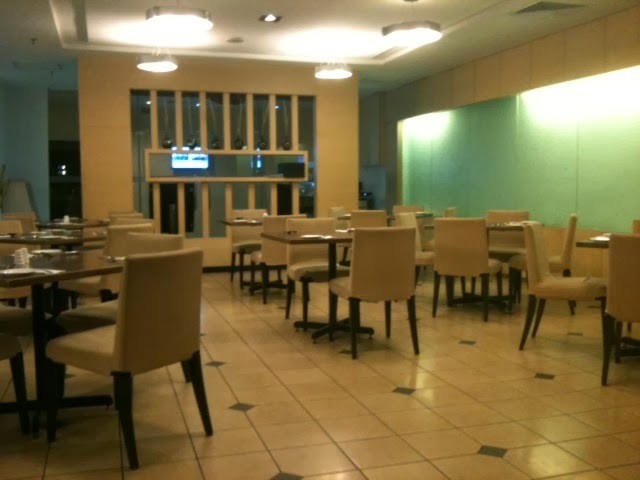 So me and my partner-in-crime decided to lounge at the Lobby Lounge at Promenade Hotel, Tawau. The Promenade Hotel is actually located within (or adjoining, whichever you like to call it) Eastern Plaza building so finding the lounge is a no brainer. Plus, the main reason why we chose to go to such a 'fancy' place for evening tea was because they have a promotional thing going on for sometime now. 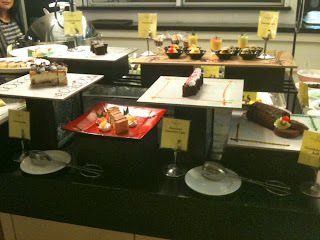 If you go there after 6.00pm, all of their pastries will be at 40% off, as well as 30% for all cakes. So yay for us! So we decided to take on their Chocolate Cream Cake (the cream was just very yummy!) 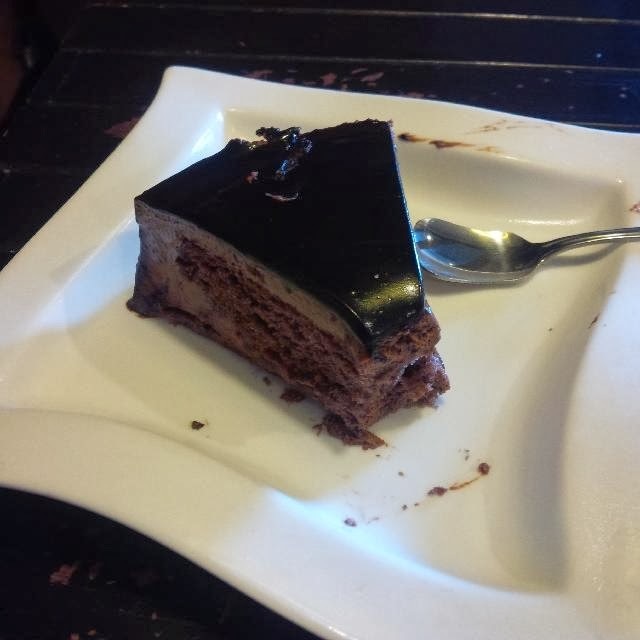 and their Chocolate Brownie Cake (err, if I'm not mistaken, can't really remember the name though - but still very chocolaty, just the way I like em). While we were sitting in one of their booths, we also noticed that they're having a monthly promo on non-dessert snacks, so we decided to take them on their offer. 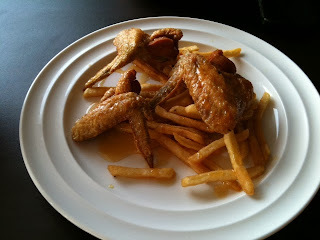 There's a variety of snacks available on the list but we finally decided on their Honey Glazed Fried Chicken Wings (cause we're fools and thought that the food will looked exactly like the lovely picture on their menu). Not only did it came out less than appealing (I mean really, look at the picture - I reckon I can plate it waaay better than just stacking everything) but it's also 'meh' tasting (it's really them deep frying the fries & wings and glazed on some honey on top of it). Come on Promenade, I've tasted their full-on buffet, and I've never encountered anything like this. I'm dissapointed, Promenade! At the beginning of my 'food-frenzy-blogging', I promise myself that I wouldn't do reviews that involves famous franchise joints but rules are made to be broken right? And since I do love to dine at Old Town White Coffee, I decided.. what the heck! Let's give it a go. So the Tawau based franchise is located at the popular Kubota Square (at Jalan Sin Onn), the first shop you'll see when you entered the place. As I've said before, parking can be a nightmare during peak hours (which usually means lunchtimes & weekends) so be prepare to walk a little. 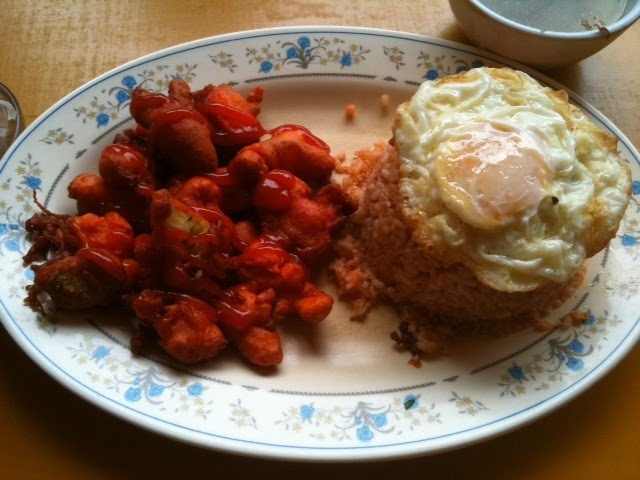 Now other than a self-proclaimed dessert freak, I'm also proud to say that I'm a nasi lemak nutter. So I can say that the place has one of the most delicious nasi lemak there is. 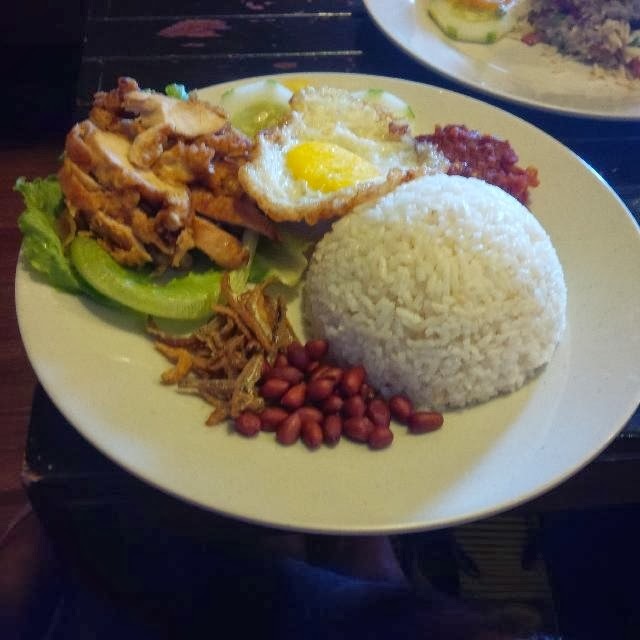 It might not be the best (because trust me, there is an even better nasi lemak out there - seen it, tasted it) but it's certainly very fulfilling with their rather generous portions. So this time around me and my mum decided to have their Nasi Lemak with Fried Chicken (what else?) and some Steamed Rice with Chicken Mushrooms for mummy dearest. Mum is not a regular so when she said that her rice was quite tasty, I'm relieved (because that already a huge compliment from my fussy mum). Another favourite of mine is their side menus and I've ordered Fried Curry Puffs, which was somewhat bigger than your average curry puffs. I think the main reason for our frequent visits is largely due to the fact that the place is (again) huge and very comfortable. 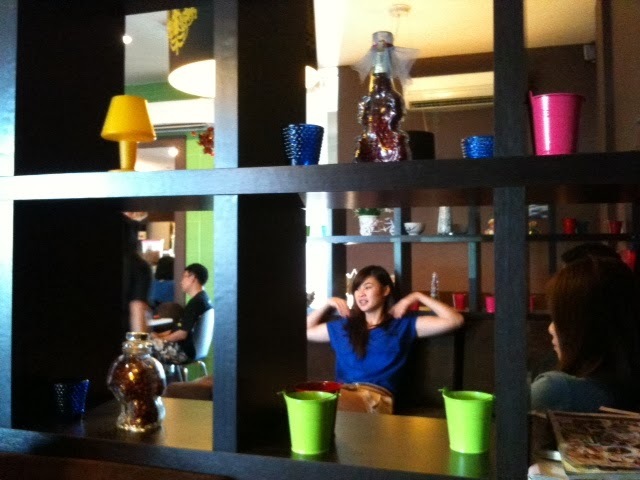 The ambiance is really inviting and had that 'family feel' places to it. A lot of weddings had been done there so again I highlighted the hugeness of the vicinity. But it wouldn't mean a thing if the food is bad right? So what about the food there you asked? Well... honestly I've had better but it's not disappointing either. We've had their Sliced Fish with Ginger, Fried Bean Sprout with Salted Fish, Special Fried Tofu, Fried Yam Ring with Vegetables and a personal Fried Rice for my sister (cause she'd been craving it the whole ride to the restaurant - she's a mum-to-be you see). All in all the food was actually quite tasty and fragrant but the family agreed that all of the food lacked salt (which again, might not be such a negative as well) and quite bland sometimes. But they must've done something right since we're still coming back for more. Oh but their Coconut Pudding is just simply the best, I give them that. I can't find another place that has a pudding as yummy as theirs. And it's good to note that their restaurant is pork-free as well. It's that time of the year again where I was reminded of the 'age is just a number' mantra. Yes people, it's my birthday and it's somewhat a tradition in our family that during our birth dates, we can pick any place for us to have this 'special meal' and this year, I'm 'demanding' (okay, more or less begged) to go to Cafe@Se7en. It's been ages since I've last went to the place so I'm pretty excited when my mom agreed to bring me there. 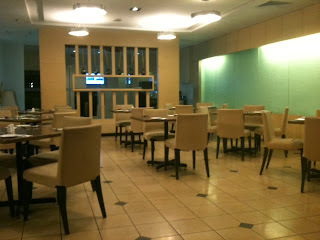 So if you haven't figured out where the cafe is, it's on the 7th floor (obviously) of the Promenade Hotel Tawau, Sabah. Oh and if you entered through the main door of the hotel, proceed to the lifts on your left since the right ones are for their function rooms and car parks. We decided to try out their semi-buffet dinner line (that has been advertised like nobodies business - the giant billboard in front of the hotel is really hard to ignore). How this works is that you pick one of the 6 main course meals from the menu and then feel free to take as many as side dishes, salads and desserts as you can possibly stuffed yourself from the display tables/islands. All of that costs you RM38 nett per person of course. And as a self-proclaimed dessert queen, that is just the ultimate for me. So for the main courses, I've decided on their Chicken Boxing set (with the intention to maximize the desserts later on) and mom decided on their Roasted Chicken set. 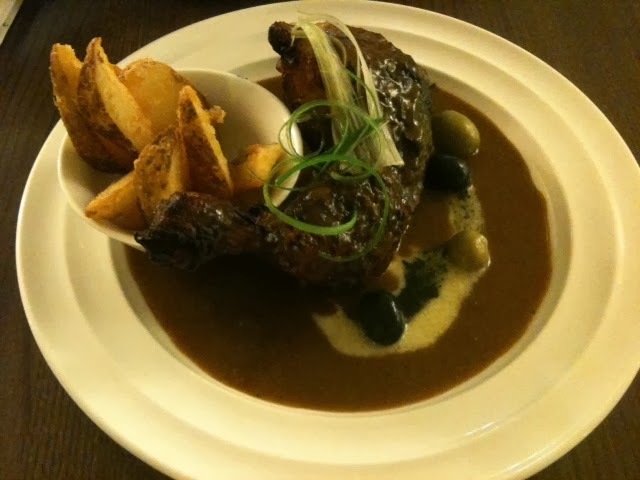 Tastes wise both of the dishes are good and very Masterchefy but honestly, I've tastes better dishes somewhere else. But their side dishes was just superb (absolutely loved their mashed potatoes and coleslaws) and mom also preferred their Mee Goreng (I'm not sure whether to call it a side dish but it is available on the counter) over her main course. And their desserts? I'm bowing down to the greatness that is their various desserts (okay, maybe except that weird tasting tiramisu but everything else were marvellous). My personal favourites are the Chocolate Roll Cakes, Mini Chocolate Tarts and Chocolate Mousse (a big shout out to their pastry chef - a job well done!). I'll be very happy if I can have their desserts all day long. Updated on 17/11/2016 - We'd gone back recently to celebrate my birthday but unfortunately they no longer have the semi buffet. 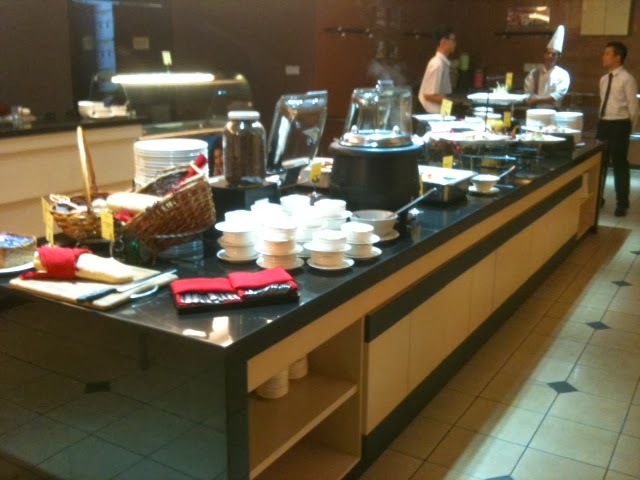 They instead have individual lunch and dinner sets, as well as the 'longest high tea' buffet during the weekends. Below are some of their dinner sets, which includes soup of the day, main course (we had their Nasi Lemak & Nasi Lalap) and a choice of dessert (either a cake or fruits). 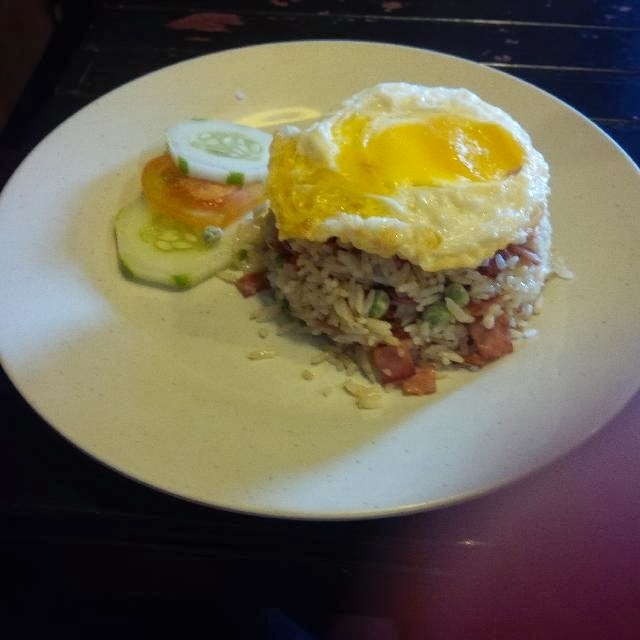 I've just realized that I haven't done any foodie reviews on the Ba Zhong area of Tawau. Now, the shops near the seaside area are lovely but I haven't gone to that part of town in a while now. Well, not until recently of course! So my partner brought me to this restaurant called Wakaf Thai Tom Yam (yes, it is because they specialized in Tom Yam related food) which we have frequented for a number of years. It's located at the end of Block D (I think), and you'll usually drive pass them if you wanted to go into the Ba Zhong area so no worries about not being able to find the place. Now on with the food. I have somewhat of a 'beef' with the pricing of the food recently. See that delicious looking Ikan Masak Asam Pedas at the bottom? Well, for one thing, it is delicious. 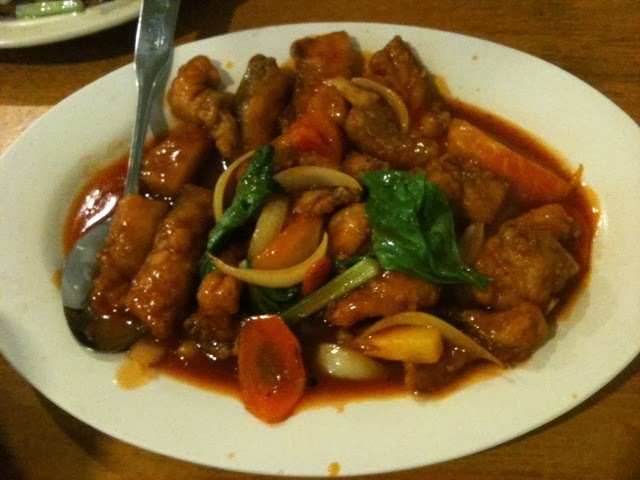 The fish is crisply fried first before being dumped into a non-spicy sauce (yes, despite the intended order of course). It might not be the freshest fish there is, but the taste is pretty good, I give them that. But My Goodness, the price took me aback a bit. This is not one of those big, 5-wok-in-the-kitchen restaurants but they still charged me a hefty sum for it (not going to disclose the price but believe me when I say, it's quite mind-blowing). Kinda turns me off to go there in the future. 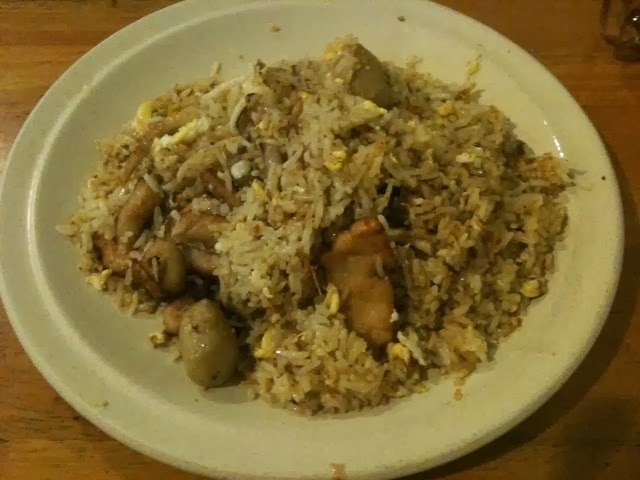 Oh and I also had their Singapore Fried Rice, which is tasty and I do love the mini chickens on my plate while my partner ate their Nasi Goreng Ayam Kunyit (the rice is just meh but the chicken chunks were pretty good, so my partner said) And I'm being fair here despite the pricing problem. There's limited pictures of food this time around (and slightly shorter review as well) not because of my semi-emotional rants (well, maybe a little) but because my partner decided to have a casual drink due to a late breakfast. Back-to-back reviews only means one thing in my world = I have serious time to kill. 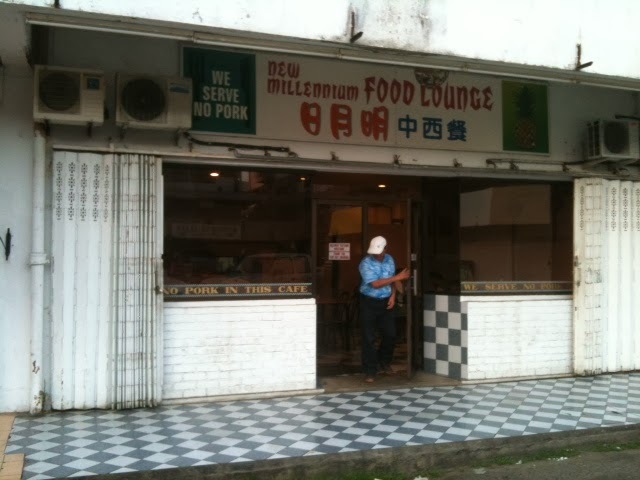 So off we got to another family favourite, the New Millennium Food Lounge. "Lounge ah? So... where exactly is this lounge?" 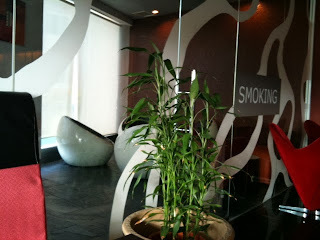 was what sprouted out of my mom's mouth when we first came to this restaurant (yes, I'm refusing to called it a 'lounge') several years back. And up until now, I'm also struggling to connect the 'lounge' part of the place, since nothing in the restaurant remotely resembles a typical lounge. But then again maybe I'm the slow one who did not get what they're trying to convey here (feel free to tell me all about it). 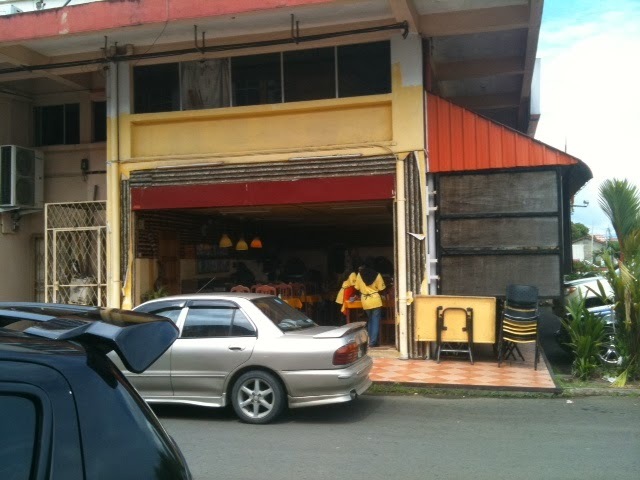 The location is central enough (Fajar Complex, Tawau) although you do need to dig a little deeper since the shop is tucked away in a somewhat remote area of the complex. But it's easily found if you search for the recently closed pub called Richbaby in that area because it's in the same row as said establishment. So lets brush off my confusions aside for a while and focus on the most important part of any review, the food. Among the eateries in Tawau, this place is probably one of the most underrated places that I've been to. I remember a friend recommended this restaurant to me and from what I've seen (since my family and I are regular patrons for several years now) the place manage to maintain a stable and very loyal following by using this word-of-mouth method. And boy, this place is almost always packed, no matter what day it is. 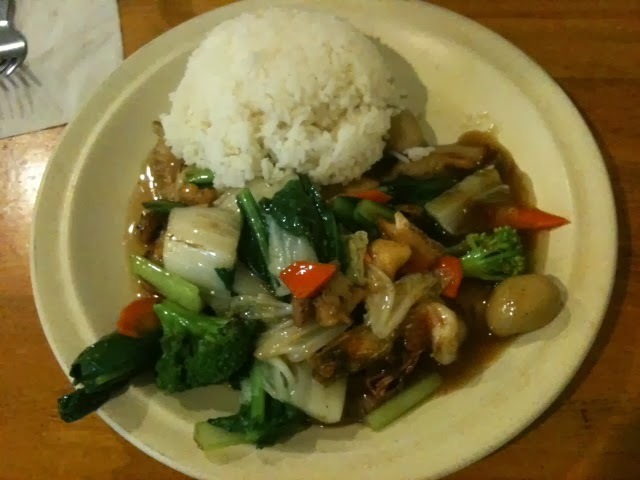 The food might be a big part of that of course, since hats of to the cook for some simply delicious dishes. 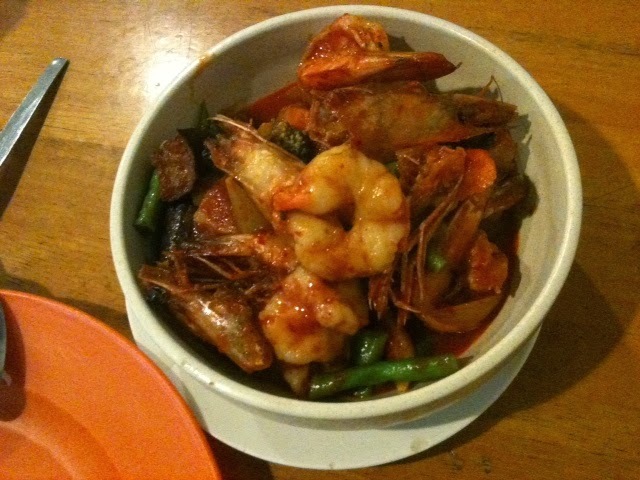 This time around we had Sambal Nasi Goreng (my favourite), Mixed Vegetable Rice (one guess who ordered that one) and dad had a Spicy Prawns with Rice. We also added a Sweet & Sour Sliced Fish and I'm very happy to report that all of the dishes mentioned got glowing reviews from all of us. 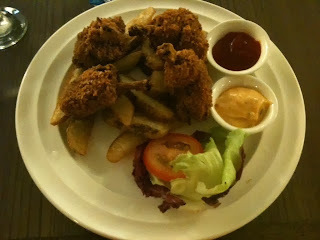 Another plus point for them is their very generous portion of the food despite a recent hiked in their prices (again). I'm trying to think of other positive points for this place because there's a huge negative with it (which sadly is still showing no improvement). Although they do have efficient waitresses, their kitchen staff is another matter. Oh My God (this place warrants a full OMG)..... This place won the slowest kitchen service award hands down. Snails might even be enjoying a laugh at their expense. If you really wanted to try out this restaurant, make sure that you had a lot of time on your hands and prepare to wait for a very long time. And I mean, a very long time, even if you're the first ones there. 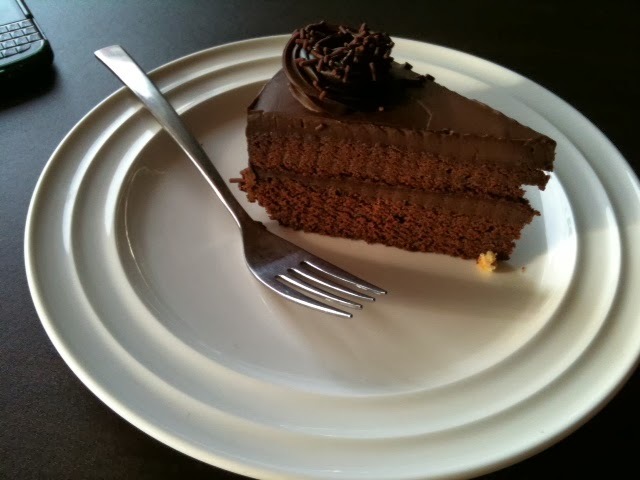 I admit that I'm a chocolate cake and ice-cream demon. You see, my 'well-developed' body maintains an average of at least 3 cakes or ice-creams intake per week. And if my cravings are not fulfilled, things can go flying in my room. Yup, not scary at all. Har har har... 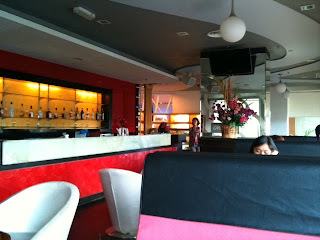 So after scaring you a bit, I actually wanted to review a place that has all these sweet nothings in one place. Kind of like a one-stop center for all things sugary (excluding bakeries because I'm thinking of putting them in a new category). 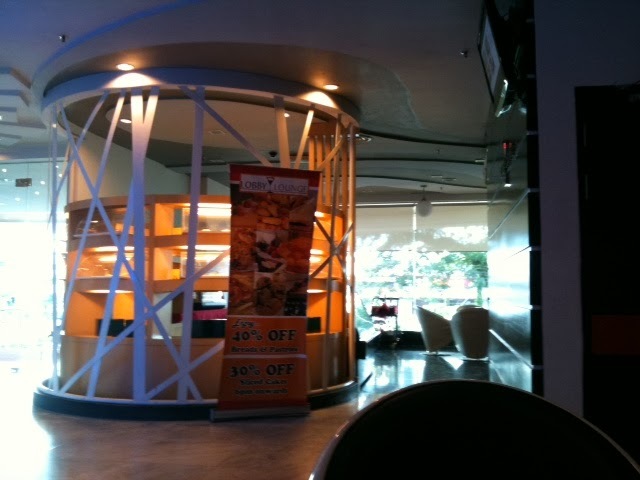 And here in Tawau, we have a place called Wukka Cafe for just that. 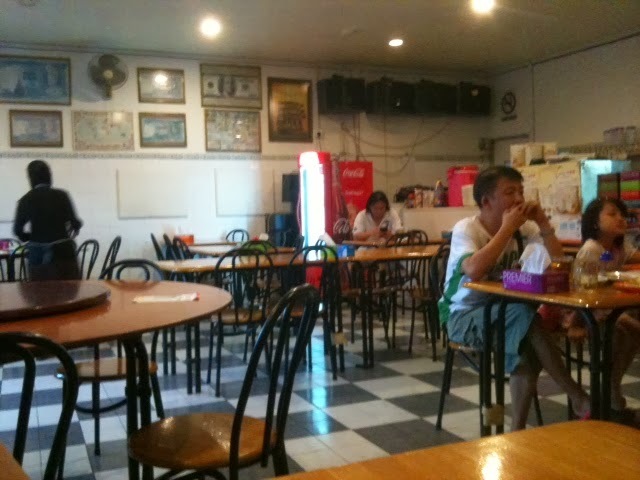 Specifically located at CTV Junction (or Jalan Chong Thien Vun if you like), the cafe is right in the middle of a single row building very close to Sabah Chinese High School and Cynthia Chinese Restaurant. 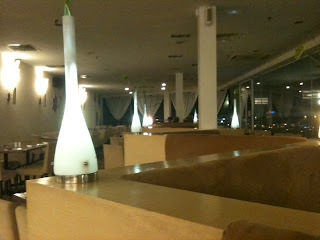 The place is formerly known as Vedablu (yup, that famous ice-cream heaven) but after a while, the cafe was converted fully into what it is now. 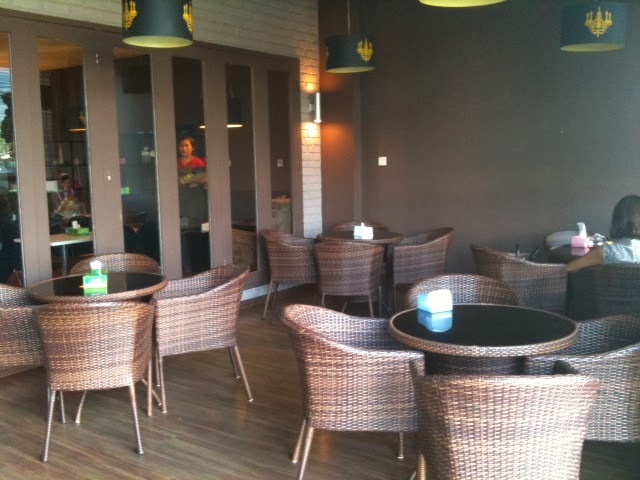 And yes, there's also another Wukka Cafe in the heart of Fajar Complex so no worries about not being able to go to this one. 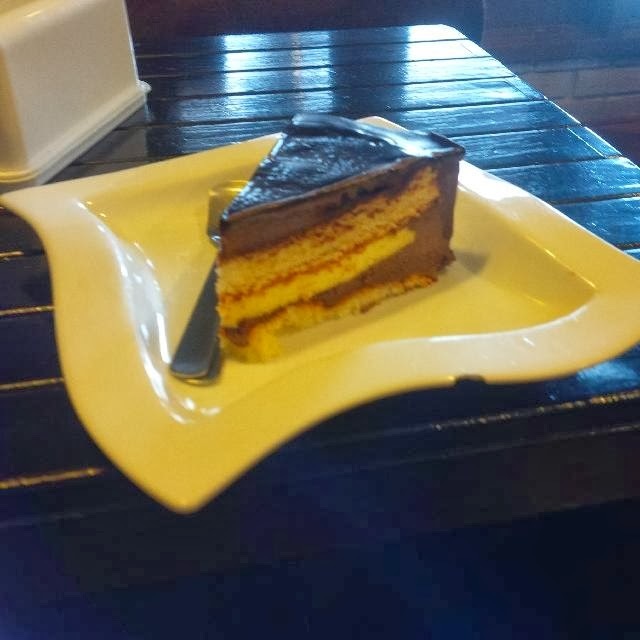 So like I've mentioned before, the food are mainly those delicious desserts that we love so much and other popular lightweight dishes such as sandwiches, fries, waffles and pancakes (and most of them are awesome!). But don't worry if you are thinking of eating something heavier as the cafe also provide various Western food such as pasta dishes, with several typical Malay cuisines like fried rice and fried kuey teow and a hint of Korean food as well. 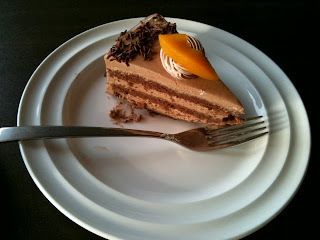 When we had a visit recently, my tummy was aching for more than a cake so me and my dear partner ended up ordering a Turkey Ham Fried Rice and Wukka Nasi Lemak (good but unfortunately nothing to shout about), aside from having my favourites Mocha Cheese Cake and Chocolate Caramel Cake (looooovveee their cakes). On another visit, we'd also tried out their Ice Cream set (forgot the actual name) and the flavours for said ice-creams were one of the best in town. My partner ate their Brownies and despite the less than pretty outlook, the taste was commendable. Their decor is also one of the prettiest that I've ever seen. I mean, the place not only looks great and prettily decorated with colourful ornaments and little decorations, but it feels comfortable and relaxing as well.